Peachy-keen. That’s what the world around me looks like each time I scroll through my Facebook or Instagram feed. Wide smiles on the Great Wall of China, sensual kisses in the Big Apple, perfect sunsets in the middle of nowhere. Here’s the real deal — I recently changed my Facebook profile picture while in Chile, one of my bucket list destinations. And I admit: I only hit ‘confirm’ after straightening the horizon, carefully selecting a subtle filter and begging my sister for reassurance my facial expression didn’t look too weird. I love traveling. With Prince Charming still out there looking for me and ovaries that have been keeping calm, it’s what I prefer to spend my time on. Just me, my backpack and an endless world full of places to explore, histories to discover and people to meet. Truth be told: there are parts I genuinely dislike. Snoring men in unstable bunk beds, overpriced taxi rides with drivers whose sign language I can’t decipher, smelly squat toilets that are too dirty to look at. Those things never make it to the social media feed, though. The thumbs, the hearts and the comments — they’re only assigned to the golden side of the medal. After graduating, I took a leap of courage and booked a one-way ticket to Vancouver. I hardly posted on social media, but when I did, the snapshots had to capture the best version of myself. Happy. Carefree. Brave. I left out the part where I cried myself to sleep each night for the first month, because I felt lonely and homesick. Looking back, I wonder what I was afraid of. Being human? Who expected me to be merry and bright every minute of every day — thousands of kilometers away from family and friends, in an unfamiliar city in a strange continent? When I returned from backpacking in Vietnam, I couldn’t stop raving about Hai Van Pass, a.k.a. South East Asia’s Great Ocean Road. I’d enthusiastically describe my experience on the back of a motorcycle, the wind blowing through my hair, overlooking the picture perfect ocean. I never mentioned my seafood lunch caused heavy stomach cramps at the highest point of the mountain pass. I tapped my (of course) non-English speaking easy rider on his shoulder, gesturing the gravity of the issue. He pulled over and directed me to a shabby shack on the side of the road. The restroom was a bucket in between three thin, humid walls, awkwardly located right next to the kitchen. Peering outside the glassless window, I hesitantly set my shame aside. The view was priceless though. 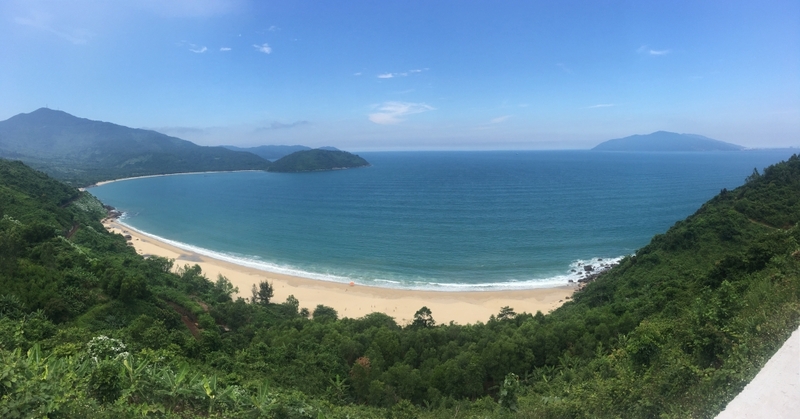 View on top of Hai Van Pass. In the end, I bet there are more cold wars during those #couplegoals vacations than you’d imagine. Unmet expectations on #girlstrips. Hidden tears on #solotravels. There’s nothing wrong with any of it. Life isn’t perfect, neither is the average vacation. Like the Beatles sang: Let it be. We value honest life partners and sincere colleagues. They’re literally better for our health. The same goes for fresh air, unprocessed foods and natural skin products, for that matter. Wouldn’t it be healthier to occasionally watch or listen to a candid, unfiltered travel experience — the full story, including the highs and lows? I might kick a shin or two, but let’s be honest: if you want a good view of a monument or place of interest, Google probably is a better friend. In case you crave static facts and figures, there are plenty of blogs repeating the “7 must-dos” at each destination. Then why do we hide behind those posts? Why don’t we share the real, unfiltered versions of our travels? Not a pile of negative reviews that belong on TripAdvisor, but thoughts, feelings, experiences. It would probably make many of us feel less left out when we’re behind our desk or on the couch instead of on a plane or in front of a World Wonder. In fact, those full stories make it easier to identify or connect with each other. We often live similar experiences without realizing — until we bluntly open up. It leads to the best of conversations, which we miss out on due to our censored pictures, random hashtags and inspirational quotes invented by someone else. So here’s to keeping it real! And to allowing travels to be what they are: perfectly imperfect. 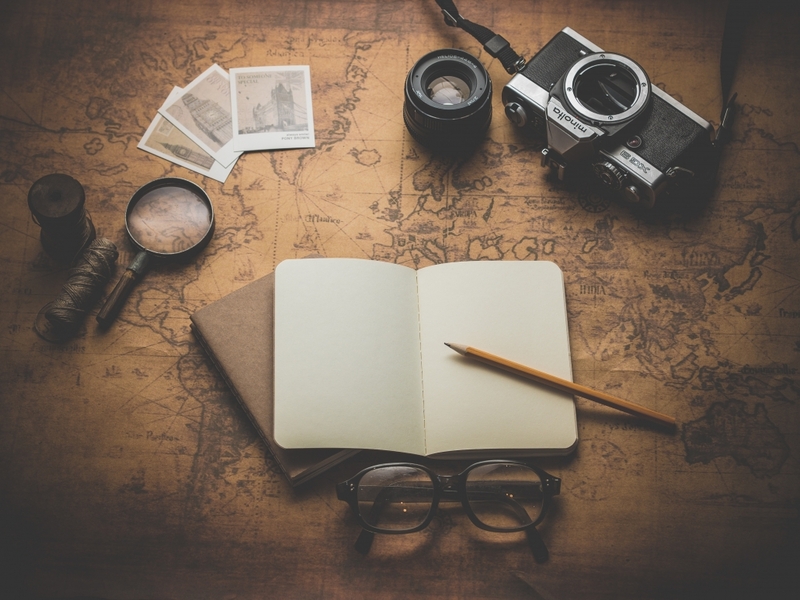 Struggling to put your own one-of-a-kind travel story to paper or screen? Wordrobe to the rescue! We’ll dive into our closets to pick and match the right words. Get in touch now.